Xi Jingping praised Donald Trump's granddaughter for her progress in mastering Mandarin. Chinese President Xi Jinping today praised Ivanka and Jared Kushner's 6-year-old daughter for her progress in mastering Mandarin, and said she could get an "A+." One of the ancient Chinese texts Arabella was shown reciting, Xinhua said, was the Three Character Classic - the same text she performed to Xi in person during the summit between Trump and Xi at Trump's Mar-a-Lago estate in Florida last April. At that time, Xi applauded for Arabella for her performance and encouraged her Mandarin studies. 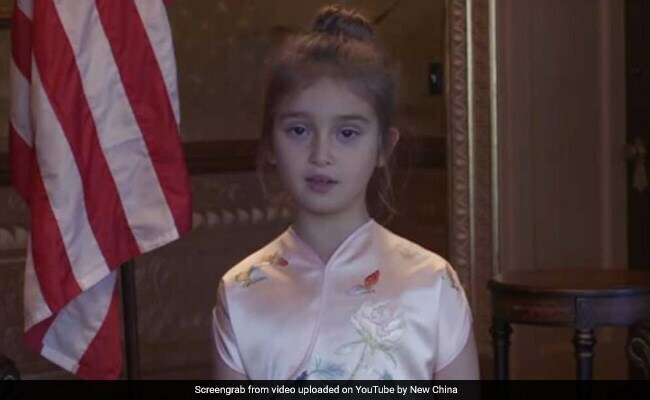 A video of Arabella reciting a Chinese poem went viral in China shortly after Trump's election. During the Chinese New Year, a video of Arabella singing "Happy New Year" with a Chinese marionette went viral after Ivanka posted it on Instagram.